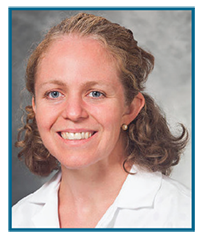 Tumor bed identification, the article argues, “is one of the greatest challenges in delivery of boost radiation.” It points out that non-invasive breast brachytherapy (NIBB – the generic description for AccuBoost) uniquely addresses the dose targeting challenge. With access to longer median follow up, a larger patient pool and an increased number of contributing centers, the study provides further evidence for feasibility, reproducibility and satisfactory clinical results of targeted boost combined with whole breast irradiation. Early-stage patients had negative margins at the time of treatment, and completed WBI and tumor bed boost by NIBB. Only 60% of patients had surgical clips, whereas the remainder relied on mammographic changes for target delineation. NIBB was delivered before WBI in 16%, during WBI (but not the same day) in 52%, and after WBI in 30% of patients. For the entire cohort with follow up data, freedom from any recurrence was an impressive 98.4%. Freedom from recurrence on the treated breast was 99.2% (2 recurrences at 30 and 36 months). Additionally, two patients were reported to have recurrence in the other breast – presumably unrelated to the treatment. Even t hough it is premature to draw any conclusions due to relatively short follow up duration, the study’s low recurrence rate is worth noting. 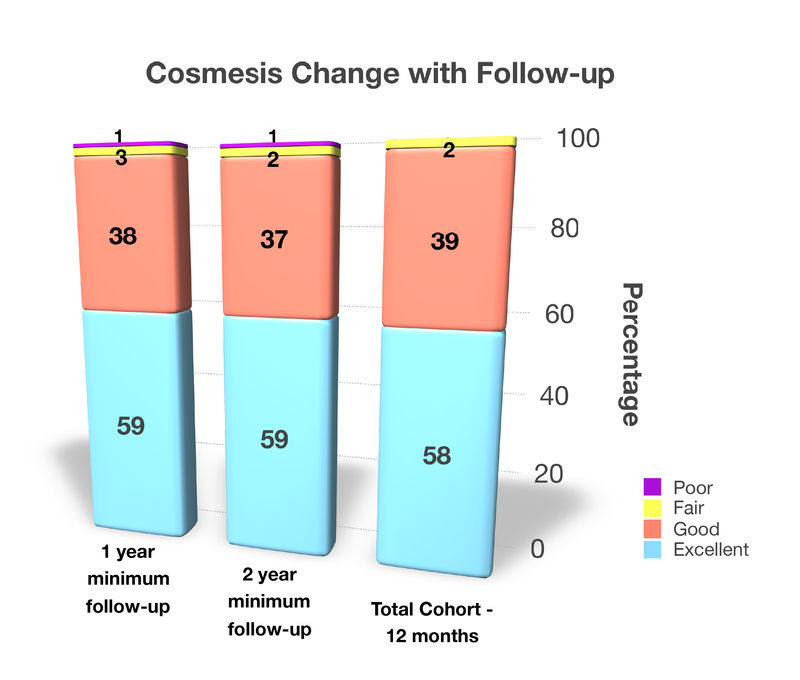 The article reports excellent/good (E/G) cosmesis of 97.4% at the time of final follow up. The analyzed subsets assessing impact of treatment centers with high vs low volume revealed no difference in cosmesis. Additionally, there were no differences in the E/G outcome when the first five patients in each facility were compared with the subsequent patients. Furthermore, there were no differences between patients treated in academic centers vs. those treated in community centers. Similarly, NIBB was shown to be insensitive to timing as there were no differences in cosmetic outcome for delivery of the boost, before, during or after WBI. 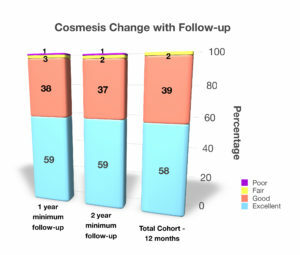 Most importantly, cosmesis scores remained stable when extended in follow-up duration, as shown in the chart on the left. Overall E/G score was at an impressive 96.9% for the entire cohort. The updated data registry, which provides information on more patients and longer follow-up, shows tumor control and strong evidence for stable and lasting cosmesis.